You have got to see it to believe it! 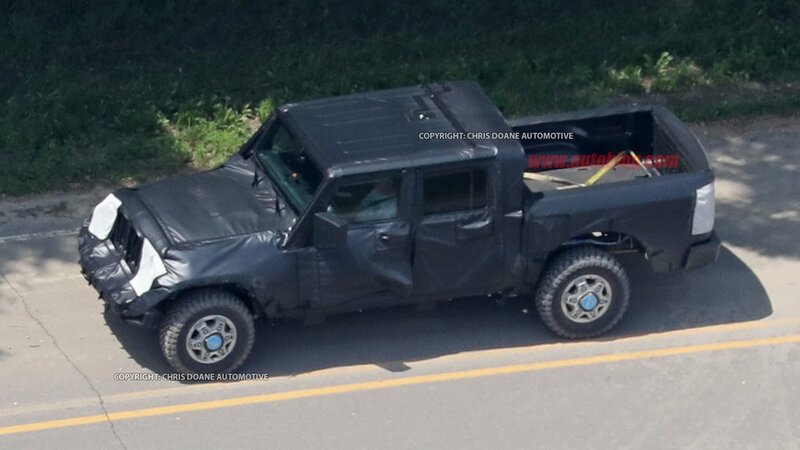 Yes the Jeep Wrangler pickup does exist and we have the first ever spy pictures courtesy of Autoblog. The American SUV manufacturer is renowned globally for its sturdy sport utility vehicles. By being American, enthusiasts would expect an enormous tyre set fitted to it with the crazy riding stance of a pickup truck for boasting themselves as boss man. Their cravings were responded and the answer is a menacing workhorse born out of Jeep. 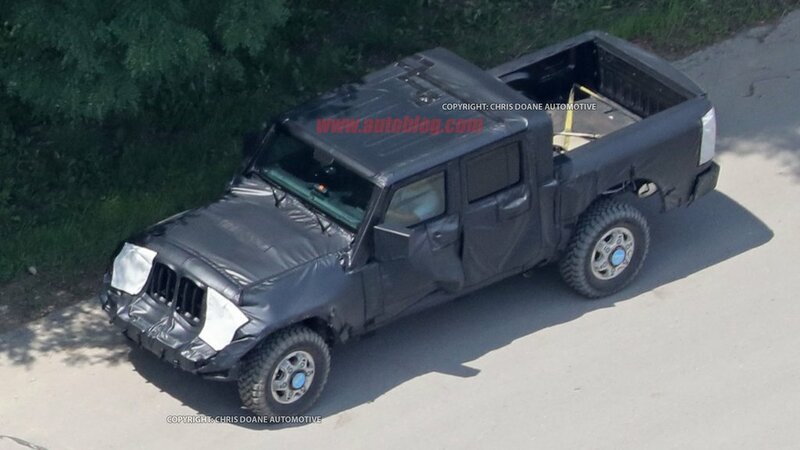 The brand is a division of FCA (Fiat Chrysler Automobiles) whose CEO Sergio Marchionne had confirmed earlier that a pickup will be produced wearing the Jeep badge. 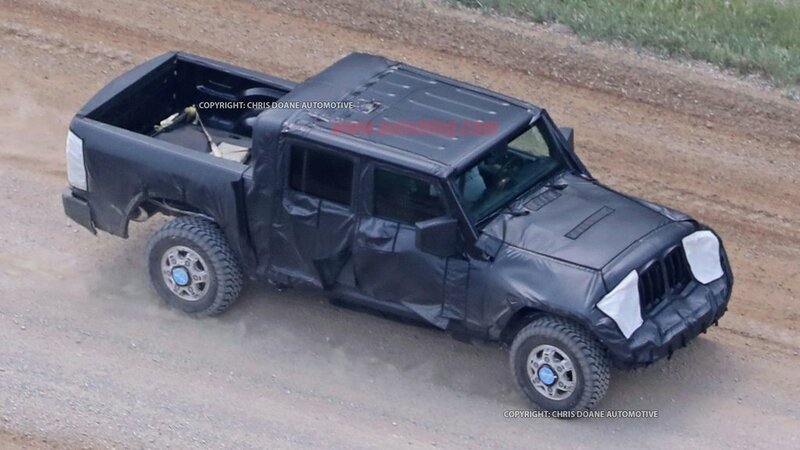 The speculations of a Jeep pickup truck have come and gone in recent times with no viable evidence but the spotted test mule is indeed the much talked about model. 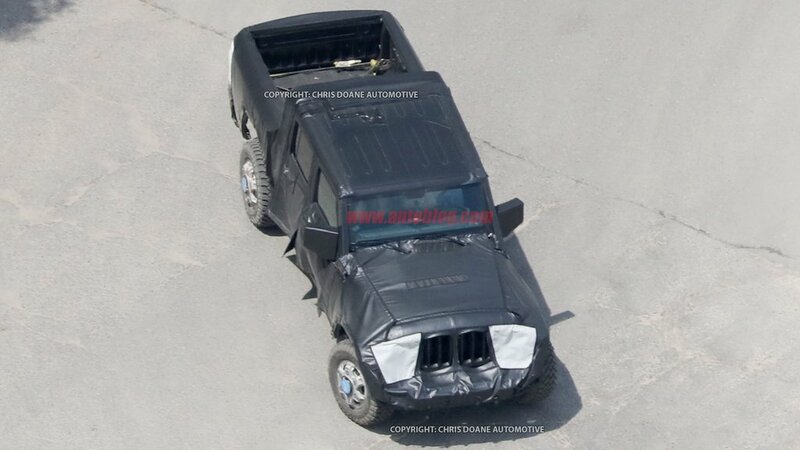 Jeep displayed Red Rock Responder, CJ8 Scrambler and Gladiator pickup concepts before and in fact it hasn’t sold a pickup truck since 1992 when the XJ Cherokee-based Comanche production’s stopped. 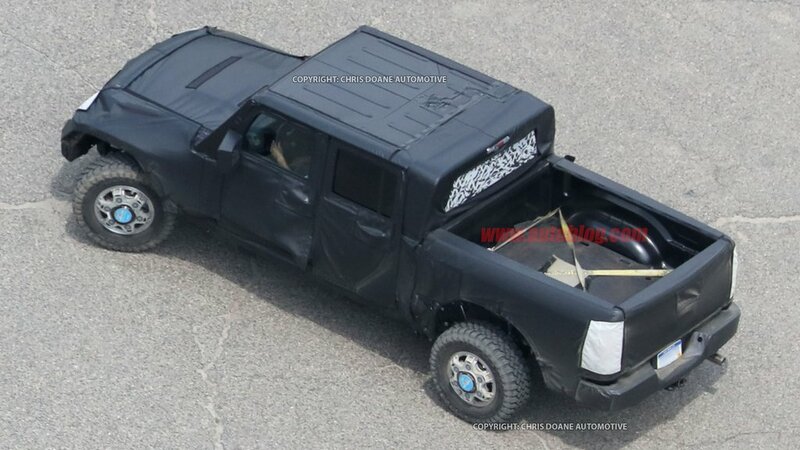 The pickup will be based on the Wrangler and will come late next year. 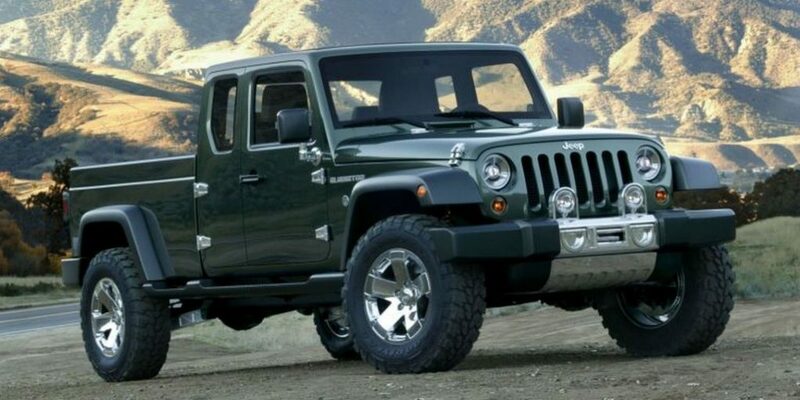 The production of the next generation Wrangler is set to begin in 2017 and it will make way for the development of the new pickup truck. 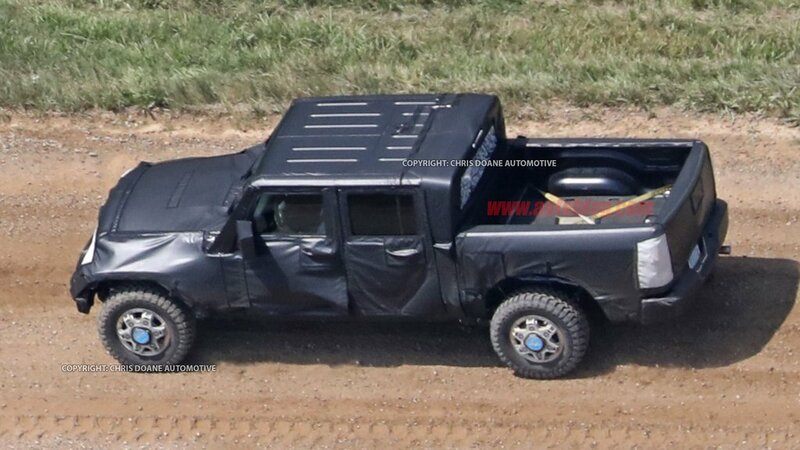 The pickup could retain the same classic body on frame construction with aluminium lightweight materials’ influence as like the Ford F-150 lesser weight means more optimised performance and better fuel economy. It will be built in Toledo, Ohio. 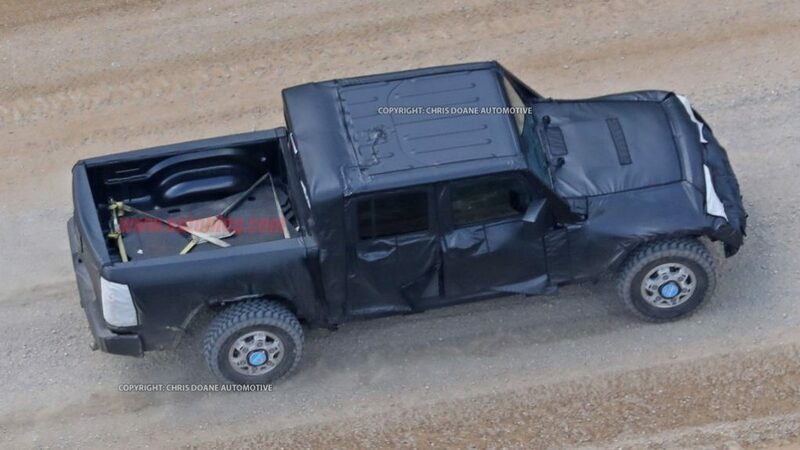 The internally codenamed ‘Hurricane’ four-cylinder turbo engine making 300 plus horses could power the Wrangler Pickup. A 3.8-liter Pentastar petrol V6 motor producing 285 hp and a hybrid variant cannot be neglected as well. 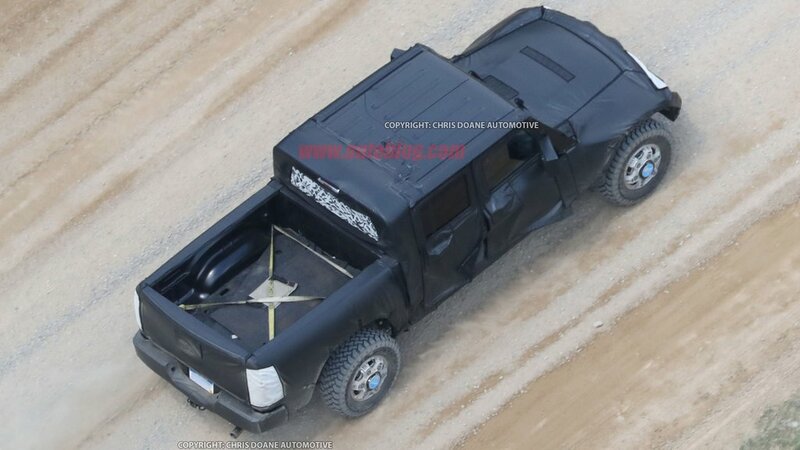 The Wrangler pickup will have a long wheelbase with appreciable pickup bed size close to the standard box of a 500 kg truck as pictures show. The front headlights signal the shape of the Ram units flanking the prominent seven-slat grille. FCA is expected to incorporate aero elements to improve the performance and efficiency.